Finance departments these days are being hard pressed to play a larger role in supporting the business and operational decision making within an organisation. Besides the mandatory financial function, finance departments need to measure and manage corporate performance against strategic objectives. They need to do more with the same or even fewer resources. 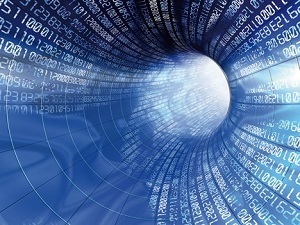 FD’s of companies have had to find ways of getting faster and more effective data out of their existing financial management systems to be able to meet this demand. Listed below are 3 methods you can use to get valuable data out of financial management systems. Beyond regulatory and market demands, finance departments are playing an increasingly bigger role in management reporting. Finance departments must provide company leaders with timely and accurate performance information. This information enables effective corporate performance management (CPM). CPM represents an expanded scope of responsibilities for finance departments as it extends beyond the traditional components of corporate reporting and includes planning, budgeting and forecasting coupled with business analytics. Providing the data is no longer enough;finance departments are now expected to deliver insight into how to interpret results to drive decision making and improve performance. 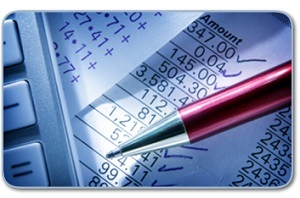 • Greater confidence when certifying financial statements. • Lower compliance costs and less volatility in financial data. • Scalable processes and better information to enable decision support. • Management to pursue other strategic objectives and value added activities. 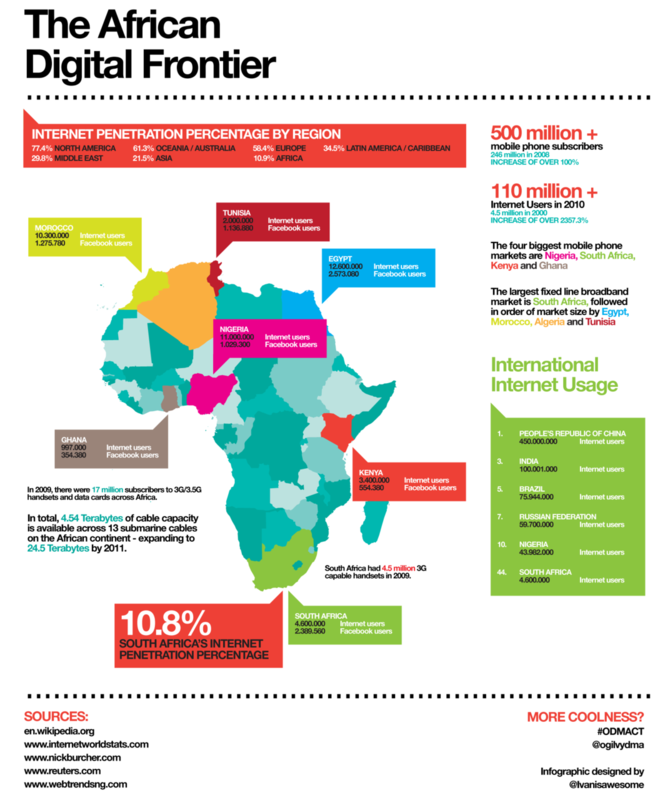 The effective use of technology is essential to gaining timely, accurate and transparent data. However, buying new systems and software is not always the answer and can often do more harm than good. In some instances companies have too many applications with overlapping capabilities, which can create confusion and incorrect data coupled with redundancies that interfere with accurate reporting. 1. Is the change a nice to have or a must have? If it’s only a “nice to have” DON’T DO IT. 2. Have you evaluated a number of different options? 3. Have you had an independent expert evaluate the options specific to your industry and company needs? 4. Assuming you have decided to go ahead, have you trained your staff effectively? This is your biggest risk as employees hate change.Limit this risk by excessive training if needs be. Be sure to include this training in the quoted inclusive cost of the software as it can become very expensive. 5. Prior to final switch over, will it be possible to run both systems in parallel? You can’t afford any down time and there are bound to be some problems with the new system. Effective training and continuous up-skilling of financial administrative staff is critical to getting valuable data out of financial management systems. It doesn’t matter if you have the most up-to-date accounting software available on the market, if your staff does not know how to use it correctly then there really is no point. The-up skilling not only applies to junior or administrative staff. Everyone from the CFO / FD needs to have continuous education on the company’s chosen accounting software. This will ensure that the data produced is trusted, up to date and as accurate as possible which is critical, as it provides the FD’s and CFO’s with tools to accurately advise company leadership as to the processes that need to be undertaken to positively impact on the bottom line. The ability to “hit the ground running” is probably the most important skill that an outsourced financial director requires. To do this, the outsourced financial director needs to obtain a good understanding of the client’s business and related critical success factors, action areas and reporting requirements in as short a space of time as possible. This skill comes with years of on the job experience coupled with extensive technical training and professional proficiency. There are two types of outsourced financial director’s. The first is a financial director that is currently between full time positions and is outsourcing their skills whilst looking for permanent employment and the other, is an outsourced financial director that does interim or part time financial work as their preferred means of income and lifestyle choice. If you want to engage an outsourced financial director on a part time or interim basis we would recommend only engaging with the latter. As a company owner, you do not want an outsourced financial director that will not be there to see projects through and who is not wholly committed to your business or who would rather be employed full time. There is a substantial investment of financial resources and time committed by a business in a Financial director and one must be as convinced as possible that he / she is involved with your business for the right reasons. As a professional outsourced financial director, this person needs to be adept at getting up to speed quickly and effectively with the various facets and systems within the business. They need a keen sense of being able to see the company activities as a whole and to implement strategies for areas that are lacking, whether it be reporting, accounting processes or margin management. The ability to identify weaknesses in human resources, systems, processes and strategy is critical but the ability to find solutions and implement these solutions is even more so. An outsourced financial director needs to be adaptable especially when it comes to smaller clients. He / She must be happy to get in the trenches with less senior staff who may not have the necessary skills or who are having a hard time coping with their workload. While the role of the financial director is not necessarily a “hands on” one, there is generally a period of time where a more operational role needs to be fulfilled. This role does transition back towards a more strategic involvement as junior staff are up skilled and procedures, processes and systems are updated and/or implemented. As mentioned earlier in this article, an outsourced financial director needs to be flexible. By its very nature, an outsourced / interim / part time resource demands flexibility. This type of flexibility can only be provided by individuals that are at a particular stage of their careers or don’t require the financial stability that permanent employment provides and are lucky enough to make lifestyle choices in relation to their income streams. In our opinion, this type of service offering is best provided by those individuals that are semi –retired, currently run their own small business ( and can still provide services in their spare time) or are not the primary income earner within their family unit. To be effective as an outsourced financial director, the resource needs to be able to rely on those staff members reporting to him / her and be able to extract the very best out of these members. This sounds a lot easier than it is and requires a particular personality type as well as a lot of real life experience. Dealing with an existing finance team as an outsourced financial director can be difficult as people can feel threatened and do resist change. Having said that, a seasoned financial director would be expected to come with a certain level of experience that would command respect and have the personality and experience to deal with these issues. The incumbent would obviously require the personality and experience to interact and communicate with all levels within an organisation including Bankers. Directors and Shareholders. Lastly but certainly not least is the art of time management. As an outsourced resource, this skill becomes critically important as the time constraints involved with this type of engagement are highlighted. There is no time for mistakes, learning curves and Golf as an outsourced financial director. The client is watching the clock and demands results in a short space of time. Invoices and time are monitored on a monthly basis and perceived effectiveness can make or break the engagement. The financial director must therefore be a master at identifying weaknesses and implementing solutions which can only be done with clever planning and delegation. Surrounding yourself with good people and then delegating work to these people is very important. As an outsourced resource it becomes even more important as you are not physically present on the ground 24/7. A lot of the operational work load needs to be performed by qualified / competent / experienced staff members. Without good people below the financial director level, the outsourced financial director role can never be fulfilled and you will find that most part time / interim financial directors will start any engagement by making a thorough assessment of the individuals reporting to him / her. It is amazing how often dramatic changes need to be made at these lower levels during engagements. You will find that most credible outsourced financial director’s have had many years’ experience and have been involved in a variety of industries in senior financial roles over their careers. The outsourced financial director’s that make up our team at The Finance Team have had a minimum of 15 years’ experience in senior positions. They are successful business people in their own right and have made the decision to be an outsourced financial director as they enjoy the variety and flexibility of being an outsourced financial director, whether it is on an interim or part time basis. They do not want a full time placement and are extremely dedicated and committed to helping and advising the clients on their path to success. Your success means their success. Come and visit The Finance Team at the “My Business Expo” hosted by the National Small Business Chamber and Microsoft at the Gallagher Convention Centre, Midrand (Johannesburg) on the 13th of March, from 9am to 5pm. Grant Robson (Executive Chairman) and Richard Angus (CEO) of The Finance Team will be at the Expo to discuss their successful business model of outsourcing expert Financial Executives and how this can potentially benefit your business. The My Business Expo is aimed at small to medium sized enterprises and entrepreneurs who are looking to see new trends, experience the most innovative business solutions, seize amazing opportunities and obtain professional advice from a wide range of exhibitors. The My Business Expo is also host to the “Business Start-Up Expo” catering to the needs of those who are thinking of starting a business. The “Business Start-Up Zone” forms part of the “Business Start-Up Expo”, where you will be exposed to an array of amazing franchise and business opportunities, business start-up solutions, financing specialists and professional services for those who are serious about starting a business and looking for ideas, opportunities and solutions. More and more fast-growing companies are following the growing trend of employing expert financial executives on a part time or interim basis, saving the considerable expense of a full time person. Increasingly, businesses are turning to these trusted, experienced and flexible sources of skills and expertise. At The Finance Team, we are able to provide businesses with Financial Directors (FD) Financial Managers (FM), Project Accountants and Chief Financial Officers (CFO) on a part-time or interim basis – for exactly the length of time you need them and no longer. Grant holds a BCom, BCompt (Hons) and is a CA(SA), having completed his articles at KPMG. Grant’s commercial experience includes roles in financial services (African Bank) and the medical industry (Medco), along with international mining experience (Petra Diamonds Plc). Grant has also served as the CFO of MvelaMasefield (Pty) Ltd, the energy trading subsidiary of the Mvelaphanda Group, with both local and international operations. 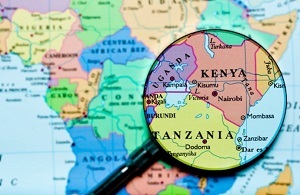 During his tenure, Grant was also responsible for the company’s operations in East Africa, specifically Tanzania and Zanzibar. 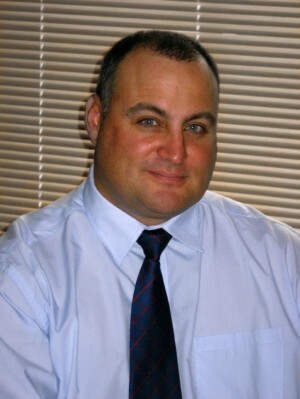 Following his role at MvelaMasefield, Grant was appointed Financial Director of Whiz Property Group (Pty) Ltd, a Johannesburg based, multi-million rand, commercial property development business. More recently, Grant was the Co-Founder of the FD Centre SA, the South African Division of the International FD Centre Group based in the UK. He is now the Executive Chairman of The Finance Team. Richard is a CA(SA), having completed his articles at Deloitte & Touche. Richard is a leading business professional with more than 17 years’ experience in various businesses – 13 of them in the financial services industry. At the age of 26 he was Chief Financial Officer of FNB Corporate for a period of 5 years and then spent six years as Chief Operating Officer of FNB’s Home Loans division. These positions allowed him to observe the challenges and pains associated with business growth and the importance of integrating strategy and execution. Throughout his professional career, Richard has routinely demonstrated the vision, dedication and diligence necessary to create exceptional business growth. Richard has worked with a variety of organisations on the challenges of growth and the successful execution of strategy to create value. Richard holds a BCom, BCompt (Hons) and is a CA(SA), having completed his articles at Deloitte & Touche. Over and above being the CEO of The Finance Team, he serves as a facilitator for the University of Stellenbosch Business School Executive Developmen Company and has served as an advisor with the National Small Business Chamber. Besides being an industry expert within the financial institution realm, he has a strong bias towards entrepreneurial businesses and the structures needed to be implemented for an outstanding business success. Richard has extensive experience in the field of financial services, insurance, asset finance, business strategy and performance, process re-engineering and operations, external reporting and governance, leadership, coaching and team enablement. 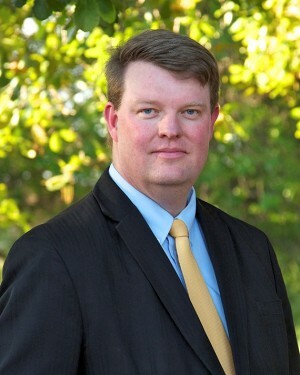 He is well versed in the challenges facing entrepreneurs and businesses and has diverse leadership and board experience. Richard’s passion is to enable South Africa businesses across a variety of industries. He sees The Finance Team concept as a key deliverer of critical and scarce skills to the South African market, in an affordable and success-based model. 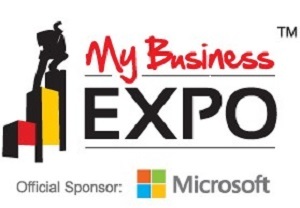 Entrance to the My Business Expo Event is Free. If there is one role that I truly admire in an organisation, it is that of the CFO. Given the amount of hats that he or she has to wear and the juggling of roles and responsibilities, it is truly remarkable what they do. It is not the intention of this blog to give the CFO more responsibility, but rather to provide a context from where he or she can better operate. (2) What are some of the critical levers that we need to be focussing on to get there? – What is our business model? – What is our revenue model? – What is our margin model? Numerous businesses fail and go out of business when the above elements are ignored or where little attention is given to them. The majority of companies that are or have been in business rescue have reached that position because of the lack of a coherent business model, the lack of a sound revenue model and the lack of good margin management. Another critical point is that we live in an ever changing business environment. Your business model, revenue model and the way you manage margins is potentially different in 2014 when compared with say 2009. Most business owners / CEO’s get so sucked in to the day to day “whirlwind” of business life that they fail to look up and adapt their business strategy to the changing business environment. We have seen a number of companies that have applied for business rescue suffer this fate. These are not start up businesses but rather companies with 10 to 12 years of track record. Failure to revisit your business strategy on a regular basis can be catastrophic and should be looked at very closely every 2 to 3 years at a minimum. What can the modern-day CFO do? Make the above three questions part of the Key Performance Areas and KPIs as soon as possible. Start by interrogating the business model and really ask whether the above questions can be properly answered, understood by staff and most of all, properly accounted for and measured. If you as a CFO cannot dedicate the time to investigate this to answer the questions above, there are solutions available. Why not outsource this process? There are outsourced CFOs and Strategy Consultants that can be engaged on an interim or part time basis that can help you design and implement the appropriate strategy within your business. These are successful business people in their own right who have made the decision to make a career as an outsourced part time, interim or project based CFO. They are there to assist and compliment you in achieving your goals and escalate your business potential. They have the depth of knowledge and expertise to provide you with an executive support channel whilst guaranteeing confidentiality. So how about that Mr. CFO – you are now the de-facto Chief Strategy Officer! 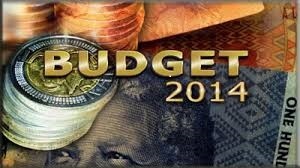 No matter what they claim, no other political party could have presented any other budget in SA at this point in time. That is economist JP Landman’s view of Finance Minister Pravin Gordhan’s latest National Budget. “We now need growth from innovation and greater efficiency.” He was a guest speaker at a post budget event hosted by Deloitte in Cape Town. “SA’s next phase of growth will have to be about dynamism and the agility of the private sector by means of synergies created with government,” said Landman. The government is acutely aware of the importance that SME’s play in the current economy and their role in growing the economy and creating jobs. The recent inclusion of the Business Rescue provisions contained in Chapter 6 of the new companies act (2008) is further proof just how important job creation and in this case job preservation is to the current administration. It is our opinion that more support should be given to those companies applying for business rescue in the form of post commencement funding. Funds are theoretically available through the likes of the IDC but the qualification criteria are currently not conducive to Post Commencement Finance. 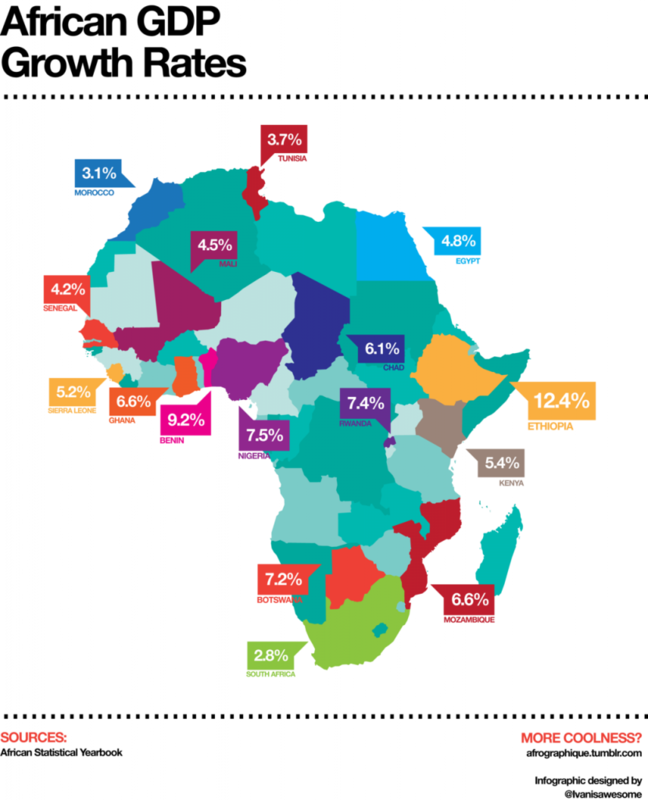 The recent introduction of turnover taxes relevant to Micro Enterprises and special tax treatments applicable to Small Business Corporations are further examples of how Government is engaging with the private sector for the betterment of the South African economy as a whole. Adjustments to tax tables relating to retirement lump-sum payments. Tax breaks to encourage household saving. Measures to encourage small enterprise development. Clarity on valuation of company cars for fringe-benefit tax purposes. Government proposes an increase of 12c/litre in fuel levy and an increase of 8c/litre on the Road Accident Fund levy. The effective date for both levies is 2 April 2014. Reforms to tax treatment of the risk business of long-term insurers. Amending rules for VAT input tax to combat gold smuggling. Measures to address acid mine drainage. Postponement of carbon tax to 2016 in order to ensure its alignment with desired emission- reduction outcomes identified by the Department of Environmental Affairs. What is specifically related to the SME/ Entrepreneur? The turnover tax regime is targeted at businesses with an annual turnover of up to R1 million. It is proposed that turnover up to R335 000 should be tax-free and the maximum tax rate should be reduced from the current 6% to 5%. Other suggestions include scrapping the requirement for businesses to opt into the regime for 3 years and requiring annual, rather than biannual, tax returns. The reduced tax rates applicable to SBCs are considered ineffective in encouraging investment as the compliance cost for these types of entities is still very high. It is proposed that the reduced tax rate regime be replaced with an annual refundable tax compliance rebate. Excess amounts of the employment tax incentive can be set off against future PAYE liabilities. To enhance this incentive, SARS is developing a mechanism to reimburse firms in instances where the incentive exceeds PAYE payable. The refund system will become effective during the fourth quarter of 2014. Tax relief measures for companies undergoing business rescue and other forms of debt compromise will be considered to address any tax charges arising as a result of business rescue procedures. This rule was introduced to reduce the significant risk to the economy and the fiscus emanating from the use of excessive debt for funding company acquisition. A formula is used to calculate a limitation of interest deductions in reorganisation and acquisition transactions. Certain unintended anomalies in the application and impact of these rules have been identified and are to be addressed. In the case of a South African resident company that owns many foreign companies, it is cumbersome to establish whether the high tax exemption applies if most of the income of the controlled foreign companies is attributable to a foreign business establishment. It is proposed that an option be provided to deem the net income of a controlled foreign company to be nil if either the high tax or the foreign business establishment test, when applied to aggregate taxable amounts, is met. Implementation of carbon tax is postponed to 2016. Government proposes to eliminate this category of vendors (< 1 000) and to bring registered vendors into the bi-monthly VAT system. Interest from a South African source earned by any natural person less than 65 years of age, up to R23 800 per annum, and persons 65 and older, up to R34 500 per annum, is exempt from taxation. Interest is exempt from withholding tax only where it is earned by non-residents from any sphere of the South African government, a bank or if the debt is listed on a recognised exchange. Deductions in respect of donations to certain public benefit organisations are limited to 10% of taxable income before deducting medical expenses (excluding retirement fund lump sums). The excess may be carried forward for deduction in the following year. Incidental costs only, an amount of R103 for each day which falls within the period is deemed to have been expended. Where the accommodation to which that allowance or advance relates is outside the Republic, a specific amount per country is deemed to have been expended. Details of these amounts are published on the SARS website. “Overall the budget is encouraging for the small to medium enterprise business owner. As with anything, understanding and interpreting the changes within the budget and how it applies to your business is key,” concludes Grant. 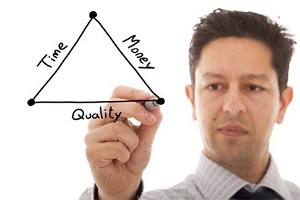 In the volatile business environment that exists in South Africa, the demand for quality, experienced project accountants is higher than ever, however, finding these quality project accountants is becoming increasingly challenging for employers as they need staff that are able to combine functional expertise with experience to be able to turn available data into strategic guidance for their businesses. Project accountants need to have up-to-date technical proficiency combined with a depth of experience and necessary qualifications, to be able to tackle the financial challenges faced by today’s small business owner / entrepreneur and larger corporates. They must have the experience and skill to be able to work effectively across a variety of departments within a business, build rapport with colleagues and provide clear and detailed financial reports for the business or specific project they are contacted to. Versatility in application methods and good communication skills are both key factors that should be taken into consideration when looking to engage a project accountant. Why use a project accountant? The trend in hiring project accountants is gaining momentum as companies and company leadership are becoming increasingly wary of making costly hiring mistakes. More and more companies are relying on companies that outsource project accountants to help handle workload spikes and gain specialised expertise that may not exist internally. By using project accountants from a reputable financial outsource provider, companies are able to mitigate their risk somewhat as project accountants from these outsourcing companies are carefully chosen for their knowledge and experience within a variety of industries. Most businesses that require ad hoc project work done are certainly not interested in sourcing an expensive full time resource that lies unutilised for large portions of the year. 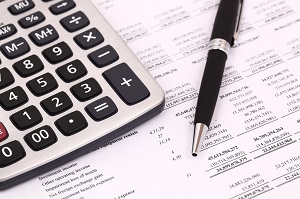 When you should consider using a project accountant? When the current financial department is struggling with workload volumes. When the company is embarking on a growth strategy. When the growth curve for products and services increases. When there is an opportunity for growth and expansion in your industry or related industries, and you decide that now is the time to take a calculated risk to expand. You determine that your employee’s existing job skills and knowledge are acceptable for your company’s current level of productivity, but to expand, you’ll need either increased skills and knowledge or a new and different set of skills and knowledge. A specific project needs to be completed and you don’t internally possess the required skill to complete the project or you do possess the skill but that skill is currently working at maximum capacity and the timing of the project can’t wait for the situation to stabilise. Companies are often reluctant to engage the services of an outsourced project accountant as they assume that it will take the incumbent a while to understand their business. This reluctance is unfounded as the project accountants provided by reputable outsource financial consultancies have had years of experience across a multitude of industries. If anything, using an outsourced project accountant will add value to the company as they are able to provide insights gained over the course of their career, while at the same time, up skilling the members of your current finance team. Can a project account be engaged on a part time or interim basis? The answer to this is a resounding YES! 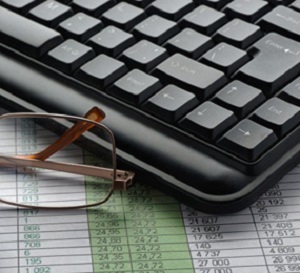 Project accountants can be engaged on a part time or interim basis. Companies may only need to use a project accountant for two days a week as the work load does not justify brining in a full time resource. Having said this, it is imperative that there is a clear understanding of what the project accountant is expected to achieve. Bringing someone into the business simply because you may think you need an extra body is foolish and will result in poor performance, decreased productivity and decreased morale within your current finance department. It is very important for company management to manage the process with their current finance department and ensure they understand that the outsourced project accountant is there to assist them, lessen the work load and achieve improved results. One of the key ingredients of a winning business plan is defining a robust business model of exactly how the business aims to serve to create and deliver value for its customers and stakeholders. The business model speaks to both the WHAT and HOW of delivering value to the customer. One of the foundation elements of a robust business model is defining the value proposition of the business and how this value will then be delivered to the customer. Often, businesses tend to pick an arbitrary price point for selling its offerings, and unpacking the business model correctly ensures that all factors of cost are taken into account so that the most accurate price point is established. Perhaps the most outstanding feature when defining the business model is that it brings new, fresh and innovative ideas to the table and these innovations can be weaved into the way you do business. SWOT stands for Strengths, Weaknesses, Opportunities and Threats. In order to perform the most relevant analysis it is recommended that all the members of your team contribute to it, as the most accurate observations come from those people working at the coal face. Have an initial brainstorming session and then refine the discussion to those items / issues that are truly relevant to your business and potential 3rd party investors. The majority of potential investors have seen hundreds of business plans and do not have the time to read realms of meaningless information. Keep the reader’s attention by keeping it short and to the point. Its quality not quantity that is important. At the end of the day it all boils down to the numbers. The rest of the business plan gives the reader an idea as to how well you understand your business and the environment in which it operates but it is the underlying numbers that are going to bring home the bacon. As a result, there should always be a section that deals with revenues, costs, margins and profits and probably more importantly an explanation of the critical assumptions made in your business plan. These numbers can be high level in the main body of the plan, but should be supported by a more detailed financial analysis. As an Entrepreneur, your passion and vision can sometimes cloud your perception of reality. Talk to your customers / potential customers, and by talk we mean verbal communication, not via email / Facebook / Twitter or LinkedIn. Choose customers that you have not interacted with for a while and ask them to give you feedback on your products and services. Ask them to be honest; you will need honesty if your business plan is to be successful. If you can, try and reach potential customers as well. This might be tricky but when you call them, try and not sound like a telemarketer, ask them for 30 minutes of their time. It is vital that you make these phone calls personally, do not get your PA to arrange these as your chance of securing their time will be greatly diminished. If your budget allows, employ the services of a professional marketing research company to scientifically conduct this research and interpret the results. The identification of your target market is one thing, getting that market to purchase your product / service is another science altogether. 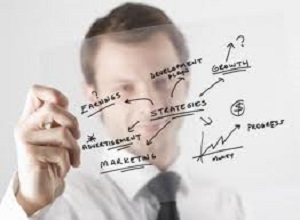 Without a good sales and marketing strategy in your business plan it will lack credibility. Imagine the ideal client. Communicate with them on their level. Break them down by gender, occupation, interests, websites, newspapers, what channels they use to keep up to date with news, what vehicle they drive, social network preferences and position within a company. These are just some suggestions. Each company’s ideal client or customer will vary. Armed with this data you will be able to create a section on marketing in your business plan outline and develop an applicable marketing strategy. In most instances you are only going to get one shot at pitching your business to a potential investor. As mentioned earlier, the bottom line numbers is what is ultimately going to entice an investor. These investors are astute business professionals and are experts in analysing business models and forecasts. One inconsistency in your business plan forecast will be enough to create a perception of risk for the investor and can be the difference between success and failure in raising much needed finance. Not all investors evaluate business plans equitably and as such you need to ensure that your pitch is fine-tuned so as to appeal to the category of investor you have approached. An independent financial review by an experienced financial executive / expert is highly recommended. Access to this level of financial expertise is often perceived to be very expensive and unobtainable to smaller businesses and entrepreneurs. The Finance Team has got a variety of part time financial experts on their team, all of whom are highly qualified and possess years of valuable experience.